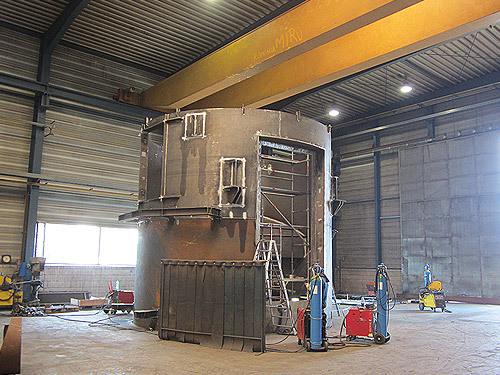 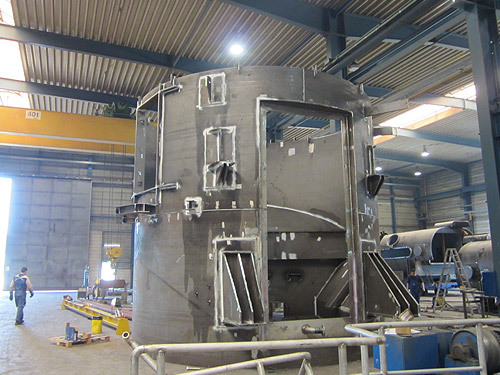 Hilgefort GmbH received an order to manufacture and assemble three new granulation systems for blast furnace 7 at a steel works in Ijmuiden in the Netherlands. 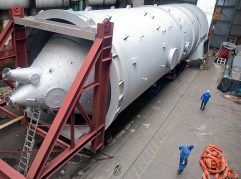 This granulation system is used to turn blast furnace slag into wet slag sand used in the cement industry by means of wet granulation. 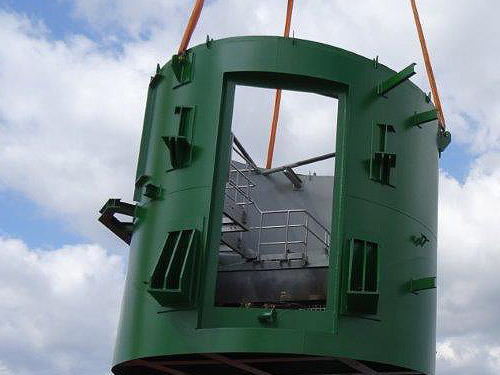 Altogether, 375 tons of steel were welded and assembled for this order. 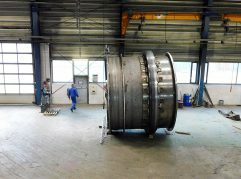 The largest components possible (max. 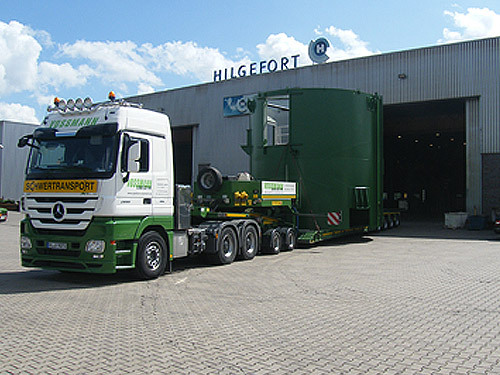 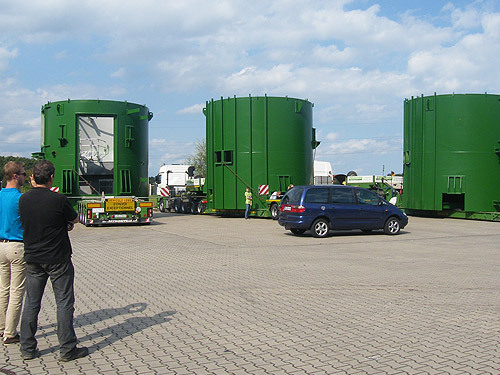 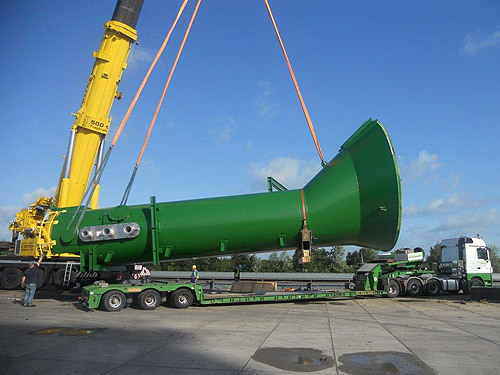 7 m x 7 m) were transported to the construction site on heavy goods vehicles and by ship in order to keep the assembly effort on site as low as possible, as there was only limited time available to dismantle the old system and assemble the new one. 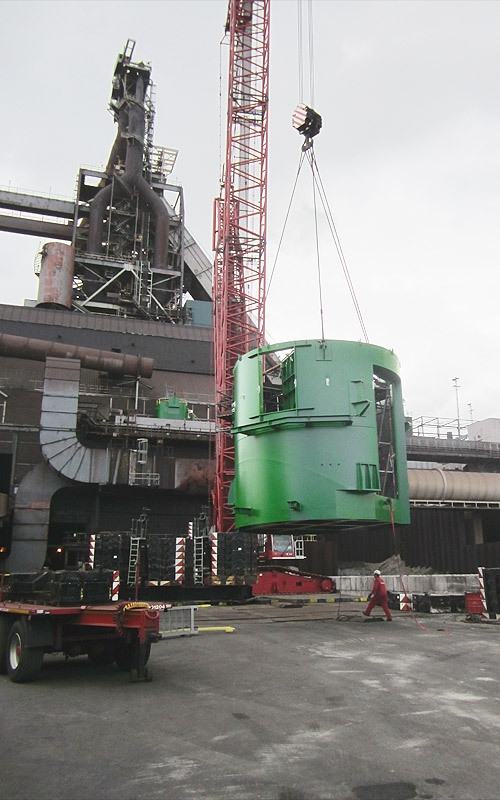 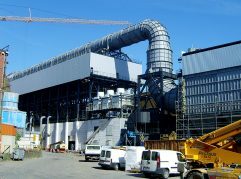 The short assembly time was necessary to ensure continued operation of the blast furnace.